Munchables offers a wide range of chewable accessories for kids that provide a safe alternative to chewing on collars, cuffs, and fingers. We specialize in chewelry that is both functional and stylish. How can Munchables help my child? Many children chew and it is our goal at Munchables to allow kids to do so without being stigmatized. 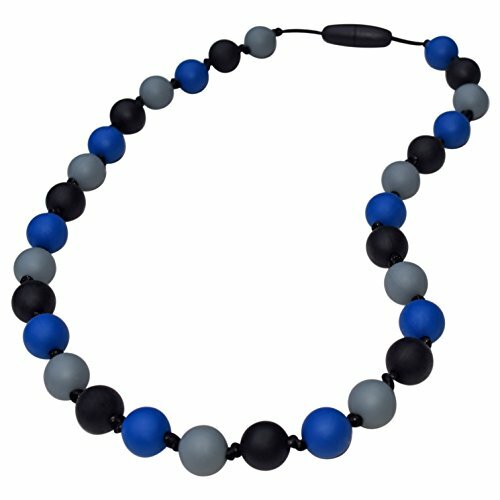 Our accessories are fashionable, yet also act as inconspicuous sensory aides, which children can feel comfortable wearing in any situation. What Munchable is right for my child? We offer a wide range of items from necklaces and bracelets to pencil toppers and zipper pulls. There is sure to be an option that works for your child. Some styles, like the Bear Claw, Yummy Gummy, Scribbles and Donut Pendant are better for heavier chewers due to their thickness and shape. We are continually adding new products. Every Munchable is made of 100% safe silicone; this means that that the products do not contain dangerous additives, such as BPA, lead and phthalates. Most orders arrive within 3-8 business days. Munchables is a small, family run company in Western Canada. My husband and I have poured our hearts into designing the highest-quality, most stylish chewelry on the market. If you have any questions, please reach out to me and I will get back to you as soon as I can. I'm here to help! Reduce anxiety and boost confidence with Munchables Chew Necklaces! This design is intended for light to moderate chewers. The Dino Skull, Butterfly, Scribbles, Dragon and Donut Pendants are also excellent choices for heavier chewers.